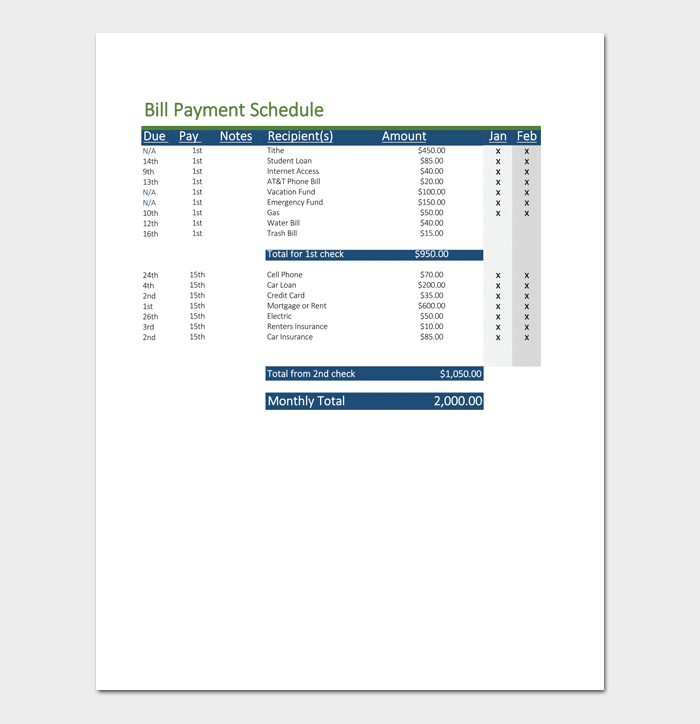 Bill payment schedule it is an assistant tool to every person. It is an essential stencil for keeping record of billing system. 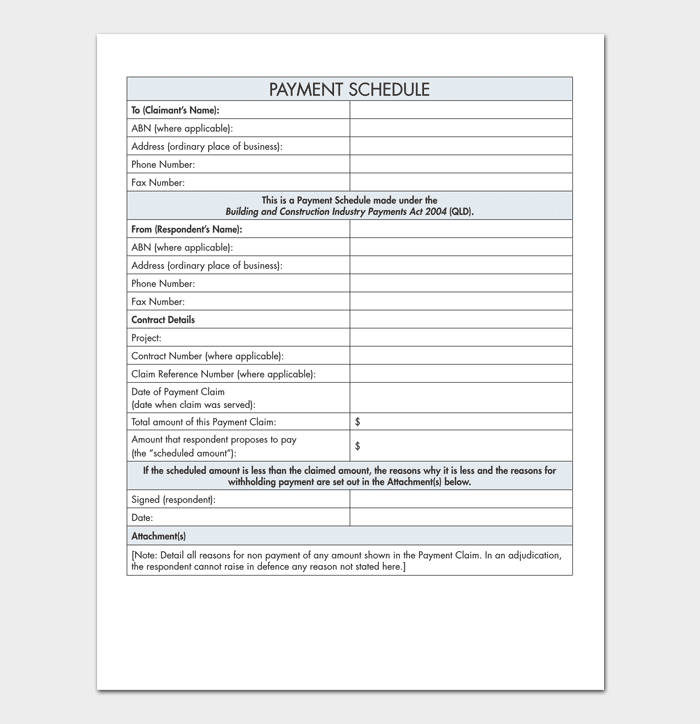 A payment schedule template can be edited according to the user’s requirement. The cash flow management is a vital key to success nowadays. You cannot have proper progress development unless you manage the cash flows. It does not matter the nature of the business. If you expect to have sustainability, then you must have a good cash flow management. You should pay more attention to cash flow, more so the one that flows outwards. Generally, things need to be kept under proper management to be able to control costs. Bills payment schedule can efficiently help you in this regard. Later on, you shall become able person in managing your cash flow. 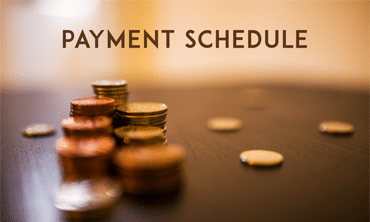 What is Main Purpose of Payment Schedule? Whether you are a business owner, college student or a parent that is busy, to balance your responsibilities can be a challenging task. 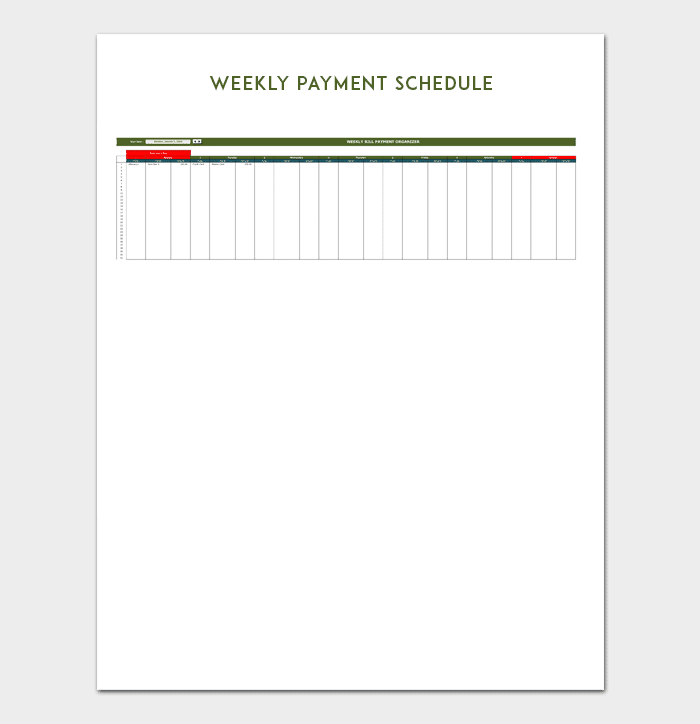 When you create a weekly payment schedule will make things easier and help you to be organized. There are so many potential use of a weekly payment schedule template. With the help of this template, you will also be in a position to organize yourself as well as plan for the future. 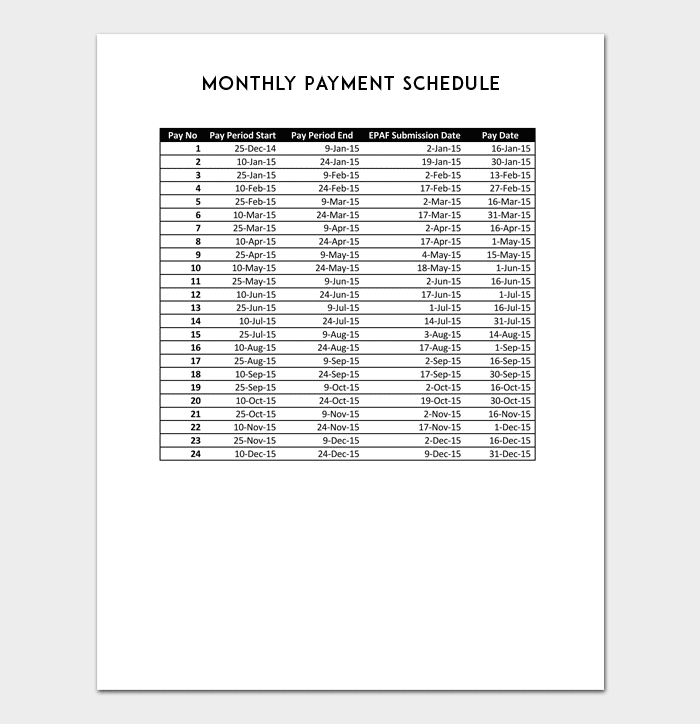 A good payment schedule template will help you to define the actual dates on which payments are done from one party to another. Paying our bills monthly is part of our daily life. When you do not have a good and organized framework, you can increase your obligation, stress or put your bank accounts in danger. Plan to pay all your bills on time. It is important to make a list of spends that you are sure to pay them end of the month. Subsequently, you can make a list of cash that you can make monthly. In the event, you realize that your expenses are more than your monthly income, adjust your spending list. The constructions projects by nature are difficult to manage. They comprise of many stakeholders, lots of documentation and too many details. When a single detail is omitted, the project can end up costing the contractor and the owner. This can result to legal measures. Generally, there can be a lot of waste of time and money. That is why remaining focused and organized is important for success of project. When you use a construction payment schedule, it will help in making sure that the entire project is completed in time. Additionally, this template helps you come up with comprehensive budget in construction. You will be able to know when to make payments. Making payment on time for your project is very essential. You should be able to make adequate plans concerning payments for your project to be successful. Making late payment can make you to end up having undesirable project. You should have a well-organized schedule for the payments. 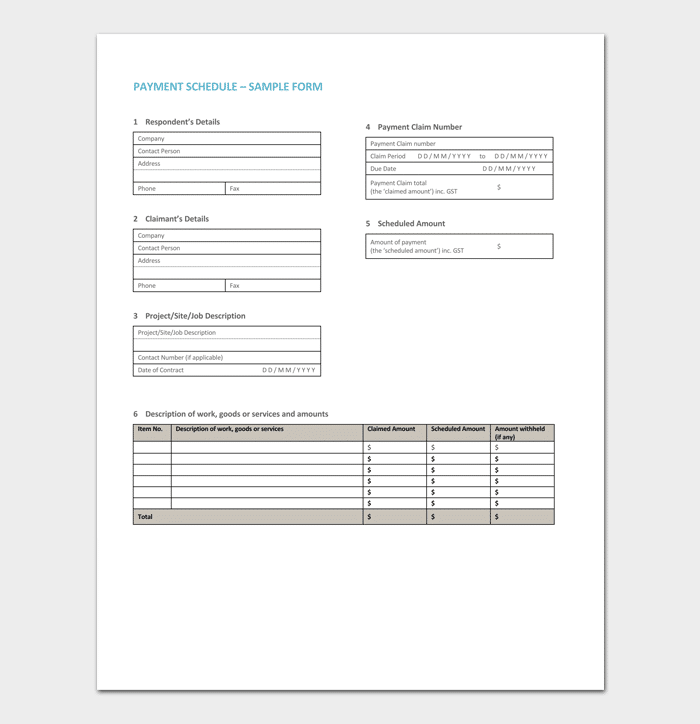 This is a timetable defining when the payments are to be made to the creditor or contractor. The payment plan helps you to remain focused and updated. Without this payment plan, you could endanger your account when you have late payments, through unnecessary penalties. It is important to keep payment schedule at any given time.